We are thrilled to announce Official release of new single on Friendly Folk Records, 'An Ocean to Still Me' by Jyoti Verhoeff. Now available on all worldwide digital platforms! Click HERE to go directly to Spotify, itunes, Amazon, Deezer and more. Touches – ‘I Speak With My Mouth Shut’, the highly anticipated album from Jyoti Verhoeff will be officially released September/2018 via Friendly Folk Records. Preceding the album release, there will be a series of digital Single track releases that are available via the Artist's website only. The first track, Human and Machines, was released 27/March/2018, followed by one track each month April-August: Rides, Sharing Dreams, An Ocean To Still Me, At Night We Dance, and Shards. Each track on Touches is a neo-classical experiment in delicate symbiosis with modern techniques. A carefully balanced search for pure acoustic sound where one note can grow up into many worlds. 'An Ocean To Still Me will be accompanied by a video and it is only single with worldwide digital distribution release via Friendly Folk Records 27/June/2018. New OFFICIAL Website & Webstore! 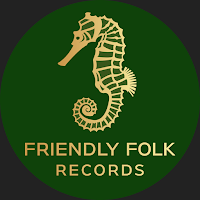 Friendly Folk Records - Registration Number: KVK 64348369 Location: Rotterdam, Netherlands. Awesome Inc. theme. Powered by Blogger.